We work hard to make sure we provide you with anything you might need during your Croatian holiday. Don’t hesitate to contact us. No question about our adventures — kayaking, hiking, biking, rafting, climbing — is too small and no inquiries about Croatia — lodging, travel, food, and sightseeing — will go unanswered. Our goal is to be your main source for Croatia. 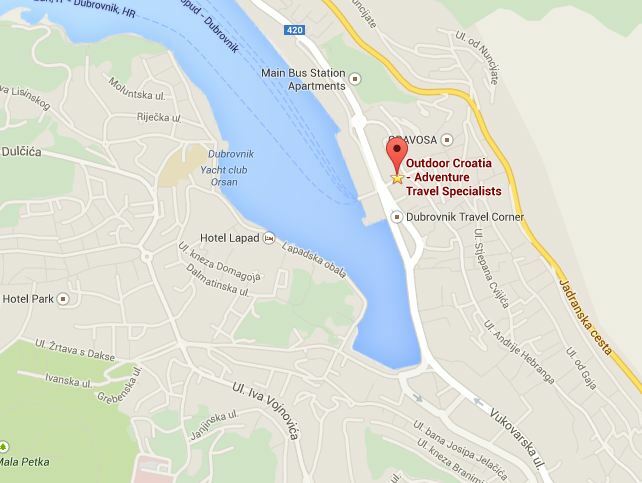 Outdoor Croatia is registered as Pustolovni Centar d.o.o. with Dubrovnik Court of Commerce due to specific laws and regulations that prohibit Croatian companies from registering names in foreign language. Copyright © 2016. Outdoor Croatia. All rights reserved.